It’s amazing how an understanding of aesthetics, colour and artistic expression comes so naturally to Indigenous Australians, young and old. When many non-Indigenous people sit down with a paint brush and blank canvas, they may worry about technical design and accuracy. The interpretative and the fluid are often lost to the fear of ‘messing it up’. 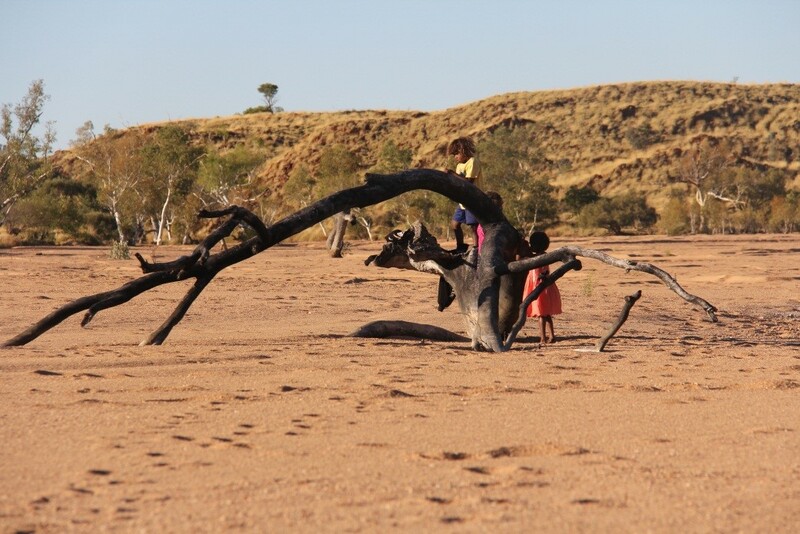 I witnessed a very different thing among the 30-40 Aboriginal people, young and old, many first-time artists, on our recent trip to the remote Irrungadji community, where Terra Rosa CRM was facilitating the Irrungadji Women’s Project. Recipient of an Indigenous Culture Support Grant managed by the WA National Trust, the Irrungadji Women’s Project was conceptualised as a project which would aim to preserve and celebrate cultural knowledge and the transfer of this knowledge to younger generations. 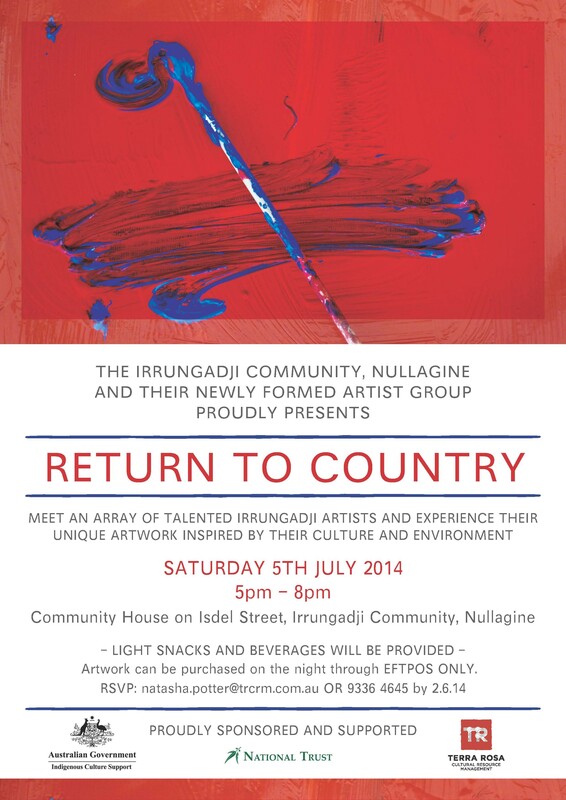 Situated just outside of Nullagine town centre, the community is home to several resident senior artists. In this case, painting would be the main medium for knowledge sharing, accompanied by a ‘return to country’ experience. The first stages of the project were undertaken from the 19th to the 27th May when Lucy, Nerida and myself drove up from Perth to Nullagine, a solid two-day drive. Just outside of Nullagine town centre we arrived at the Irrungadji community, one of a number of disadvantaged Aboriginal communities in Western Australia. As well as bringing up a huge amount of art supplies, we were aiming to fulfil the community’s request for an ‘art space’ within old community house. This area would be used to facilitate two days of art workshops, and continue to be open for artwork following our trip. In the long term, an art centre would have the potential to create not just recreational activities, but economic opportunities to support the community’s future. 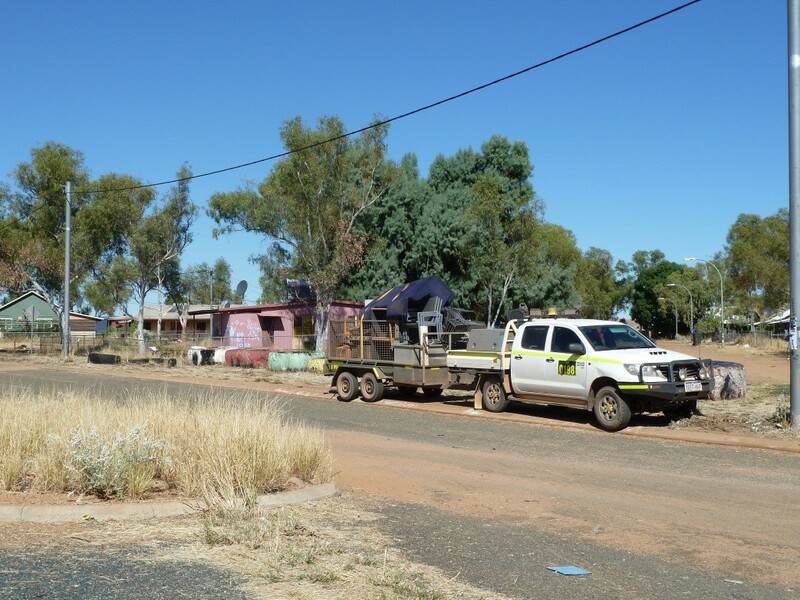 At the community we met a team from Fortescue Metals Group (FMG) with a trailer-load of donated furniture for the community house. The whole community and the FMG team helped to carry everything inside the community house. 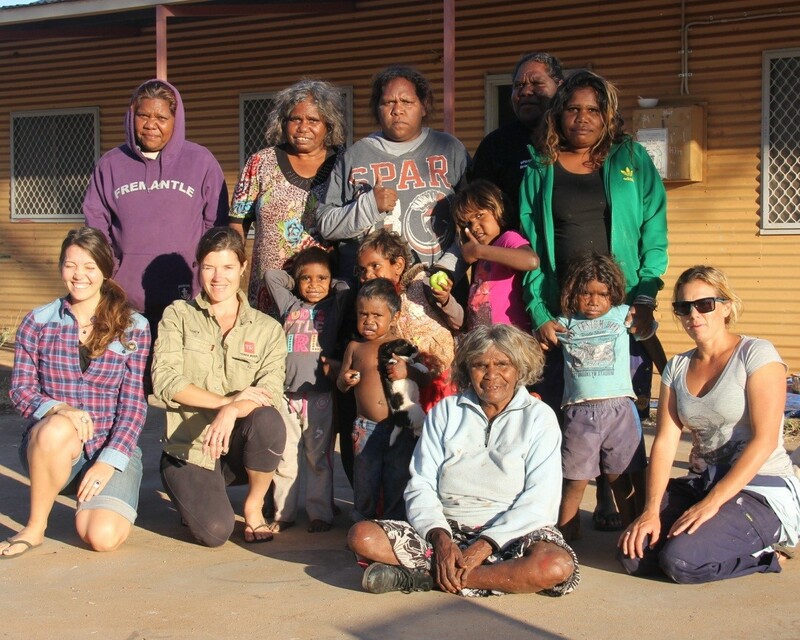 Annabelle Landy, the community’s facilitator organised a group of six women and their children who would participate in the ‘return to country’ camping trip. Later that day we headed out to a camping spot on a dry river bed about 45 mins outside of Nullagine. The next two days were filled with painting, storytelling and spending time together. 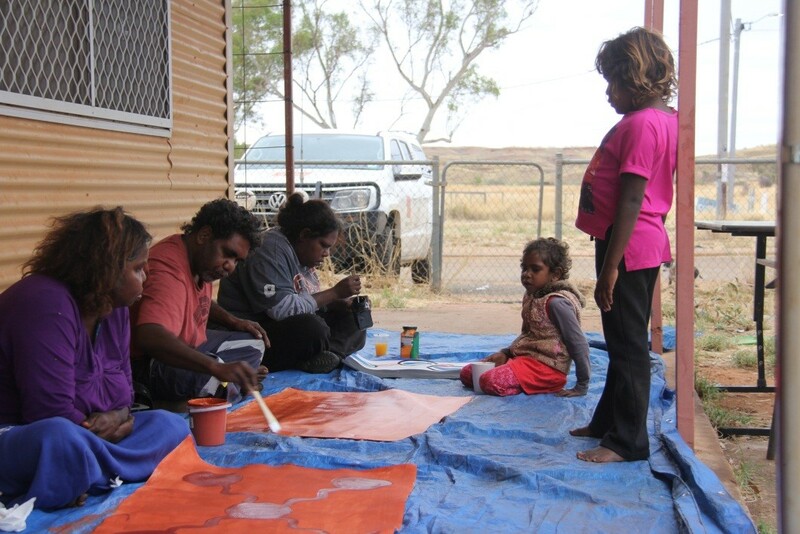 Everyone got involved in the painting and some masterpieces were created, especially by Amy French, who is a renowned senior Martu artist. On the last camping day we headed over to a fishing spot by a waterhole and the group caught plenty of milinja (fresh water trout)! We then headed back into town to spend two days of community art workshops led by Amy French. Around 35 people (adults and children) from the community participated in the workshops and it was a really positive experience for all involved. 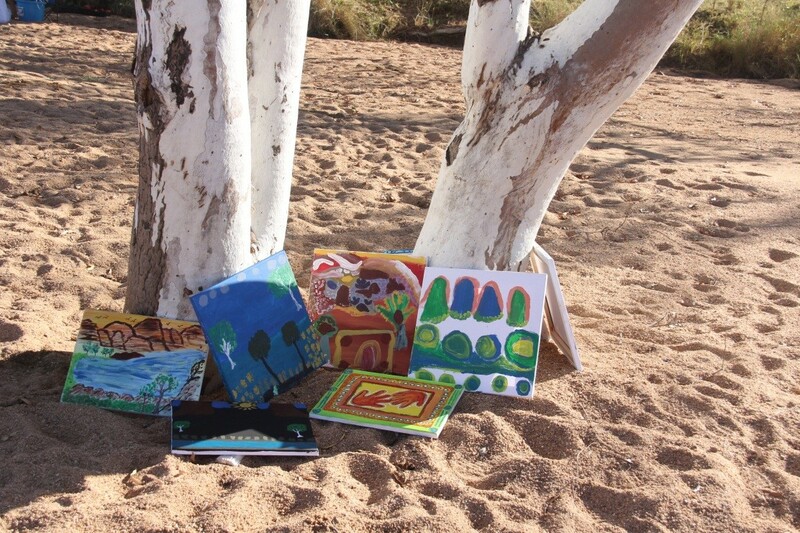 Around 30 paintings were created and these will feature in the upcoming art exhibition, to be held at the Irrungadji community on Saturday 5 July 2014. This exhibition is an open invitation and the community would like to share their art with the public. The exhibition will also feature a short film of the project, which will later be given to the community as part of the knowledge preservation aims of the project.